There is a friend of mine.He is a god fearing young man who don't take intoxicants and looks after his family.He also is not known to jump in to any kind of relationships.He is also against the evil system of dowry.He married a beautiful and educated girl.I attended his marriage.His believed that a girl from a family with lesser financial status will blend well with him family and himself. After an year i learned from him that he had divorced the girl.They had ego issues and main issues was money.The girl wanted all his money and salary to be spend at her parent's home.At one stage she demanded Rs 20000 to be paid every month to her father by this boy.And my friend did not agree to the blackmail.She left him and asked for divorce and later on mutual divorce they split. I think the main reason for divorces is the misunderstanding between the couple.The relationship goes through a phase of ups and lows.At a moment when it is so low and confidence is 0.0001 percent if a miracle does not happen, it results in a split.Religion and culture influence in the way people marry in a particular society or culture.Those who marry outside the castes are regarded outlaws in many occasion.The positive factor of marrying within a caste is that it is more like that the families will find a horizontal mental plane due to similar practices , life style, traditions etc.The negetive factor is that people become fanatic to the traditions and will do crimes to uphold tradition.It is very awkward to live with a stranger all of a sudden for a lifetime. 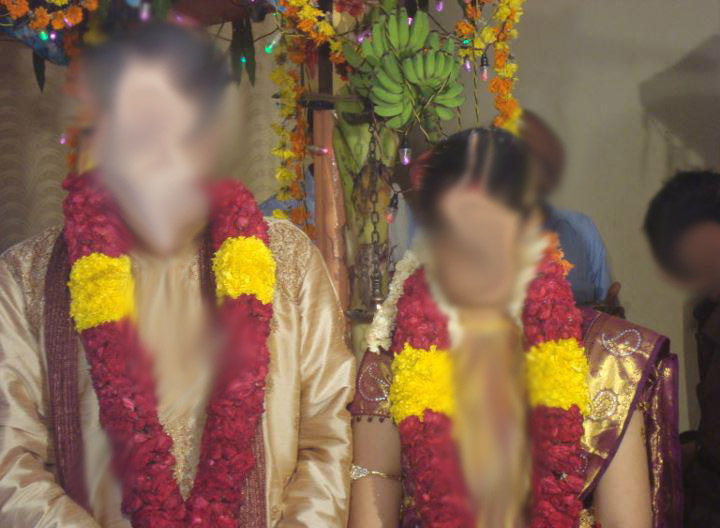 Arranged marriages are always arranged after checking astrology compatibility.An astrologer is asked to do mathematical calculation based on a chart prepared according to the birth time. It predicts the future, mental compatibility, ego issues etc.It is so unreliable but elders forces youngsters citing some experiences of the rebels.In an arranged marriage, family reputation, financial status, religion, caste, sub-caste, age, career, education etc are the dominant factors. Some people use marriages as a tool to suppress people mostly womenfolk and men in remote cases. Women are forced to sit at home and raise children.One of my female friend is not allowed to go to a software job because her hubby a software engineer himself doubts some colleague will 'install love software' in her mind. Love marriage is marriages conducted after people fell in love with each other.And they enter in to an agreement once they feel they are serious about it.In that case most of the time parents are forced to accept the decision of the people.Some love marriages fail miserably because love fades away over time. Marriage is a prison.Once you are inside, you cannot get outside so easily if you feel that you want to go out.Then you still continue living in the prison to show the society and the faces looking towards you that you are fine and happy.Kids are the ones who cement every marriages.If the couple have kids,the chance of divorce decreases again.For those who enjoy prison life, they relish living there.My advice to people would be to do not go for a forced arranged marriage or a love marriage that require you to be isolated with yours and your spouse's family.